The New Year is upon us, and many people, myself included, start reflecting on all the wonderful and maybe not-so-wonderful things that happened in the past year and begin to make resolutions to make next year happier and healthier. 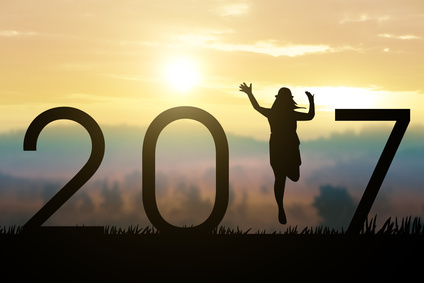 Sometimes resolutions include focusing on our individual wellbeing and the events or people that caused the turbulent times during the past year. Unless there was a traumatic triggering event, such as discovering infidelity or domestic abuse, people often mull over the decision to separate from their spouse for quite some time. Maybe you spent the last year in counseling and nothing has changed, or perhaps you’ve been unhappy and quietly thinking it over for years and this is the year that things are going to change. Or you could be separating to avoid one of those painful and traumatic events. Separating from a spouse is a life changing decision that should be given much thought and, once decided, much preparation. Here are some steps to consider taking whether you are preparing for potential litigation or to ensure a seamless and amicable divorce. In many marriages one spouse manages the family’s finances and expenses. This may leave the other spouse out of the loop when it comes to bank accounts, retirement accounts, and other financial assets. Before starting the separation process, educate yourself on your marital estate. If you think your spouse is having an affair, consider hiring a private investigator to gather evidence that the affair was in fact carrying on prior to separation. This will give you ample leverage in future negotiations. Make a plan for post-separation. Do you want to stay in the house or will you be moving elsewhere? What are your current expenses and what do you expect to change after separation? How much money will you need to support yourself and your children after separation? Make a list of household items that you own together and what items you would like to keep. Gather all important documents, such as your passport, will, deeds, and birth certificates. Meet with a family law attorney to go over your rights and understand the process of separating. Open a separate bank account and prepare to have your paycheck directly deposited into this account when you separate. Make a script for how you will approach your spouse with your decision and consider their reaction to this decision. If there is violence in the marriage, tell someone close to you of your plan and break the news in a safe and public location. If you are the spouse engaging in an affair, consider putting that on hold through the separation process. While you may not think your spouse knows of your affair, once you tell him/her your desire to separate they may start to question your reasons and investigate potential affairs. Trace your steps and get rid of any potential damaging evidence of the affair. Do not have the talk until you have a plan of how to leave, or a plan of asking your spouse to leave. Who leaves the home is often very contentious, especially when there are children involved. This is a very important conversation to have with your attorney before breaking the news. Be mature and be empathetic. You’ve thought this through, however, even if your spouse is unhappy as well, the realization that divorce may actually be happening will be hard. The separation and divorce process is long and emotional. The first few steps following this conversation may set the tone for how the rest of the separation plays out. Seek out individual counseling to help guide you through the emotional stress of the divorce process. The legal side of the separation is best dealt with as a business transaction and should be looked at logically, not emotionally. If there are children involved, separate their well-being from your own emotions. Remember, while your spouse may not have been a good husband or a good wife, they most likely are still a good parent. These steps are not fool proof and everyone’s marriage and separation are different. Even if you have not completely decided on separating from your spouse, I encourage you to speak with a family law attorney to learn more about what separation and divorce would look like for you. For more information on what to do before you separate, you can download this FREE brochure. Being educated about your legal rights and options could be the first step toward kicking off 2017 and embracing your best life now!